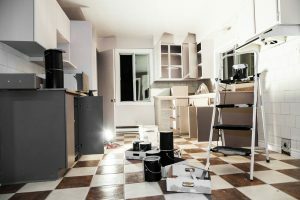 When it comes to putting your home on the market you know you have to make it look as good as it can and while it’s almost free to de-clutter and give the place a deep clean, you might need to do a bit more. If you need to do that little bit more with only a little bit of a budget, then here’s what you should focus your attention on. A really easy and cheap way to transform the front of your house is to paint the front door in a nice, bright, shiny new shade. Tidy up the porch and the front windows too, as well as either polishing or replacing the metal fixings on the door. A shiny door knocker against a new coat of paint makes an instant great first impression and if necessary, you can extend this sort of renovation to the inside of the house, including light switch plates. No-one wants a dim and dingy home, so make sure you banish the darkness from as many corners as possible by swapping out weaker bulbs for brighter ones and investing in some LED light features under kitchen cupboards and any other shadowy spots. If some of your lightshades are looking a bit old and tatty, head to your nearest – ahem – Scandinavian furniture store and find some modern new ones. You should also clean your windows inside and out, as well as change heavy, dark curtains for lighter ones. House hunters look at the kitchen and bathroom more than any other rooms, so do whatever you can afford here because it’ll have a lot of impact. If you can’t afford to re-tile the bathroom, you can afford to re-grout; you can also afford to re-seal the bathtub and replace your taps with modern ones. These fixes do involve expense, but not a huge amount. Whether it’s summer or winter, tidying up the garden is important. You can sweep up fallen leaves, jet-wash the patio, plant some colourful flowers, mow the lawn, clear snow from the garden path, pull up weeds… Even if you just spend a Sunday weeding and cutting dead-heads, it’ll make the place look better and you can do this for free.